No time for philosophizing, opinionating or joking around. This is serious. Chicago and a large part of the Midwest will experience freezing low temperatures in the coming days not seen in several years. Here are some tips that may make getting through the next week a lot easier. These tips are in no specific order of importance. In fact some may not apply to you at all. If you know somebody that might benefit from these tips, please pass them on. Lower you heat to the mid 60’s. That right you heard me. Your furnace will be working hard enough this week. Placing more burden on it than necessary can lead to a break down. For those with 90% efficient furnaces or water heaters and/or tankless water heaters periodically check your exhaust vents on the side of your house for excess condensation or ice buildup. This can be dangerous. Do what you must to keep them clear but remember, things get very brittle in extreme cold. Only use electric space heaters with no exposed heating elements. Do not use extension cords with your space heater. If you are running electric space heaters of any kind do not run the cord under any rugs or blankets. Also keep them clear of curtains. If using an extension cord (Definitely Not Recommended) make sure it’s a heavy duty one made with 10 or 12 gage wire. You can usually find the gage marked on the cord such as (12/3) or (10/3). Remember to monitor the cords checking for excessive heat hourly and don’t run while sleeping. Check your furnace filter. If your furnace won't turn off or it is overheating and turning off too early, it may be an old filter. If you can’t get to store and replace it, you can run the furnace without it for a day or two. Additionally, don’t by one that restricts flow too much. 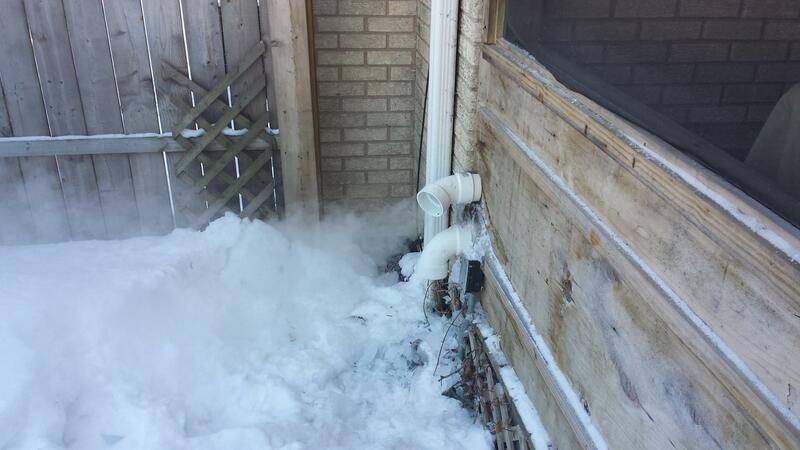 Clear all vents of snow and debris. Keep drapes closed but not if it means draping them over a cord powering a space heater. If you haven’t done so already disconnect any hoses connected to the hose bibs outside. Open the cabinet doors underneath any sinks. Don’t close the vents in your basement thinking it will force more warm air upstairs in your primary living space. 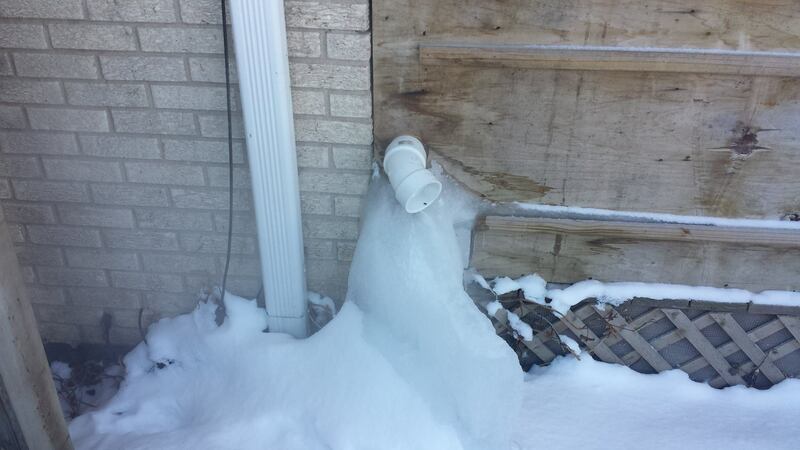 It could cause a pipe to freeze and break. Start your car(s) at least once a day and run them (not in a closed garage) until they are up to regular operating temperature and the exhaust is free of condensation. This will likely require you to make a short trip. Top off your tanks. I recommend using premium gas in weather like this. You may also want to add some “Heat” or an equivalent additive to remove moisture from your gas tank. Make sure your tires are inflated. They will lose some pressure in extreme cold because the air in the tires will condense. Be prepared for a breakdown if out driving in the extreme cold. Have clothes on or with you that will keep you warm if a long walk becomes necessary. The Motor Club will be busy. Perhaps the most important thing to remember is to plan. Know who to call if some thing breaks. Also keep in touch with family, friends and neighbors to make sure they are all right. If your house becomes uninhabitable know where to go. Good luck. Remember spring is just around the corner. Please excuse any spelling of grammatical errors. We did not have time for the usual editing process. The Ask the Kitchen Guy Blog by Jeff Kida is the property of DDS Design Services LLC. 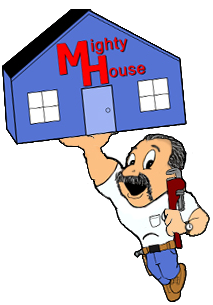 And is re-published with the owner’s consent on the Mighty House Radio Show web site. All rights reserved by the owner.